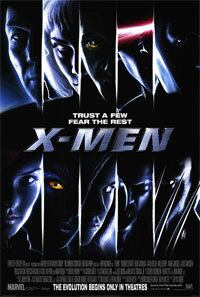 In a world where both Mutants and Humans fear each other, Marie D'Ancanto, better known as Rogue (Anna Paquin), runs away from home and hitches a ride with another mutant, known as Logan, a.k.a. Wolverine (Hugh Jackman). Charles Xavier, who owns a school for young mutants, sends Storm and Cyclops to bring them back before it is too late. Magneto, who believes a war is approaching, has an evil plan in mind, and needs young Rogue to help him. otsoNY Comments: In the world of modern film making, nothing is what it seems these days. There are quite a few films that have been based in New York City, but have not actually been filmed in New York City. X-Men is no exception with a mock-up version of the Statue of Liberty and the use of blue screen technology, the X-Men battle it out against the evil Magneto on a Hollywood sound stage. 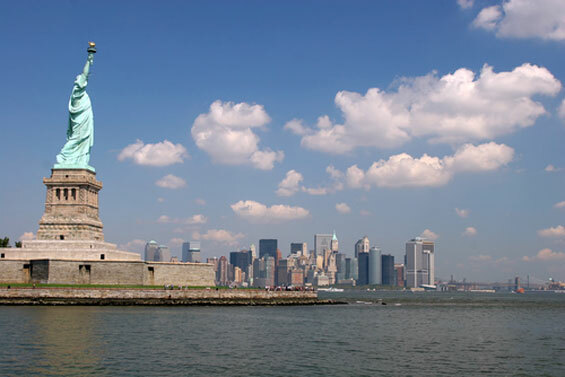 The Statue of Liberty (Liberty Enlightening the World is a colossal neoclassical sculpture on Liberty Island in New York Harbor, designed by Frédéric Bartholdi and dedicated on October 28, 1886. The statue, a gift to the United States from the people of France, is of a robed female figure representing Libertas, the Roman goddess of freedom, who bears a torch and a tabula ansata (a tablet evoking the law) upon which is inscribed the date of the American Declaration of Independence. A broken chain lies at her feet. The statue has become an iconic symbol of freedom and of the United States. Bartholdi was inspired by French law professor and politician Édouard René de Laboulaye, who commented in 1865 that any monument raised to American independence would properly be a joint project of the French and American peoples. Due to the troubled political situation in France, work on the statue did not commence until the early 1870s. In 1875, Laboulaye proposed that the French finance the statue and the Americans provide the pedestal and the site. Bartholdi completed both the head and the torch-bearing arm before the statue was fully designed, and these pieces were exhibited for publicity at international expositions. The arm was displayed in New York's Madison Square Park from 1876 to 1882. Fundraising proved difficult, especially for the Americans, and by 1885 work on the pedestal was threatened due to lack of funds. Publisher Joseph Pulitzer of the World initiated a drive for donations to complete the project, and the campaign inspired over 120,000 contributors, most of whom gave less than a dollar. 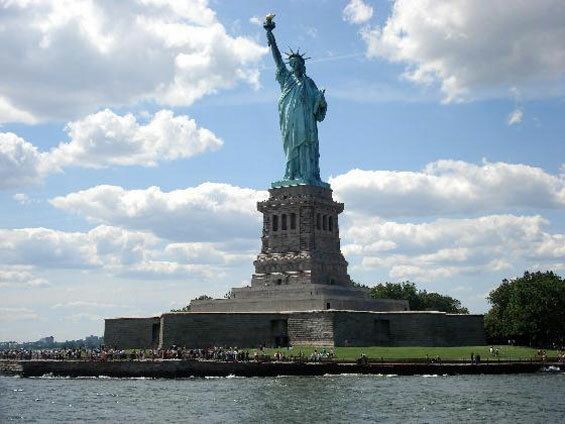 The statue was constructed in France, shipped overseas in crates, and assembled on the completed pedestal on what was then called Bedloe's Island. The statue's completion was marked by New York's first ticker-tape parade and a dedication ceremony presided over by President Grover Cleveland.